So much yarn, so little time. : my tadpoles are hatching! Well, sort of. 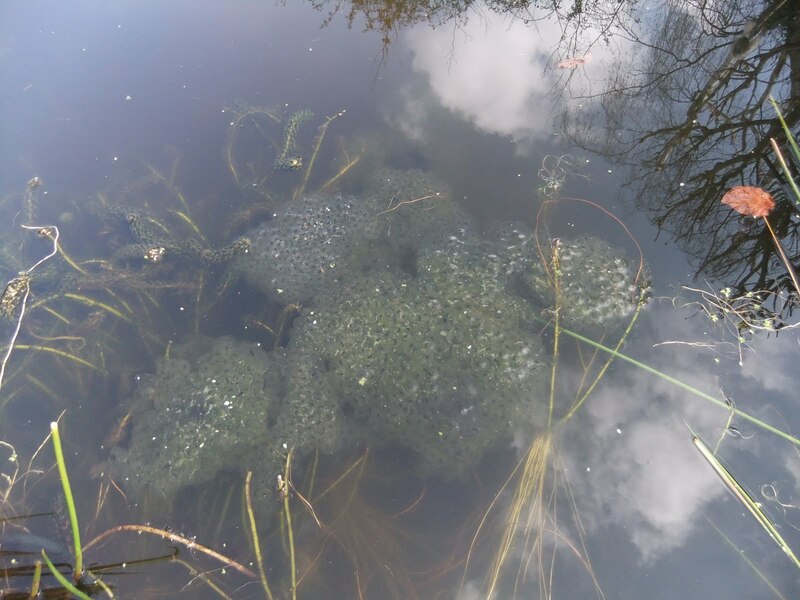 The spawn is now at that "comma-shaped" stage, but a few very brave early taddies are wriggling free. Met this little chap yesterday - look at that face! 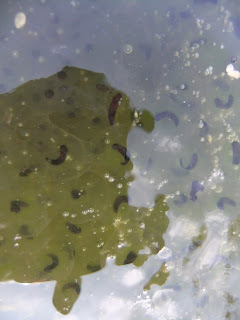 Tadpoles... we still have ice on the pond. 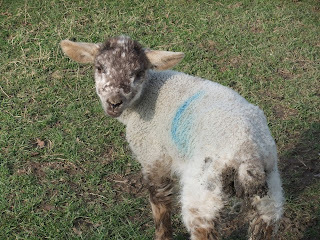 The lambs are just adorable. That lamb has the most adorable little face! Aww, wish I had lambs in the area, all I seem to see are delinquet school children.